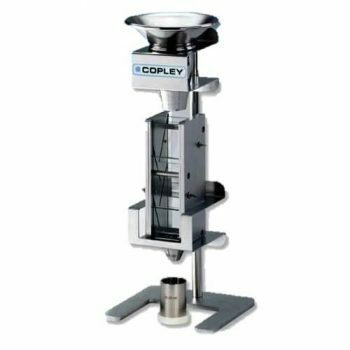 The Bulk Density Tester (Scott Volumeter) is designed for measuring the bulk density of fine powders as described in USP Chapter Method 2. 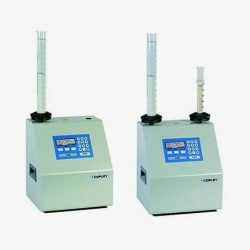 The bulk density of powders can be extremely difficult to measure since the slightest disturbance may result in a change in the result. This is the result of the relationship between the particles that constitute the powder bulk. This same relationship affects the ability of the powder to flow. 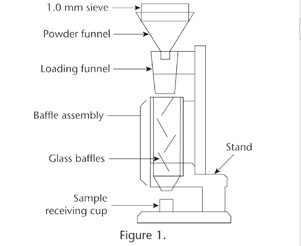 The bulk density of a powder may be described as the density of the powder ‘as poured’ into a measuring vessel. Tapped density, on the other hand, is the density attained after ‘tamping down’: this is normally measured using an instrument that lifts and then drops a measuring cylinder containing the powder through a fixed distance. 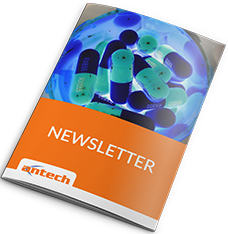 A comparison of the bulk and tapped densities of powders can give an indication of the type of interaction present between the various particles making up the powder mass and hence provide an index of powder flowability. The Bulk Density Tester (Scott Volumeter) is described in USP Chapter Method 2 and is designed for measuring the bulk density of fine powders and similar products. 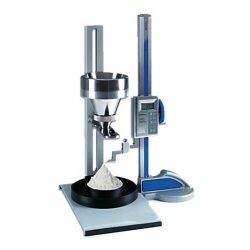 Calculate the bulk density in terms of grams per ml by dividing the weight of the powder by the volume of the cup.